What Day Is It? Really, What Day Is It? It’s Memorial Day so I have a different take on housing. marching to the fields of Concord? marching to the Concord war, hey marching to the Concord war. It’s Memorial Day and across the country lots of people will have decals on their cars that say something about supporting troops. Many of them won’t remember what Memorial Day is about. We’ll be inundated with Facebook posts about supporting our troops – still many won’t know what Memorial Day is about. 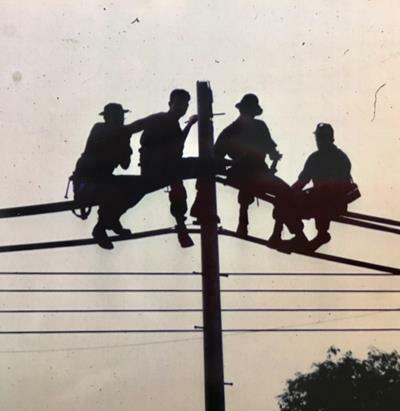 I don’t like pandering and subscribe to something Gordy Holloway (my father) taught me at an early age, “Talk’s cheap but it takes money to buy a drink.” Maybe it’s a metaphorical concept Gordy learned at the Battle of the Bulge. We live in different forms of housing throughout life – from tents, dorm rooms, apartments, homes, condominiums and retirement homes. On this Memorial Day, it’s possible that our servicemen and women haven’t had a significant upgrade in their service housing since Concord. Below are two “homes” Patrick Holloway (my brother) lived in circa 1968. One is sided, of frame design and the other a simple canvas enclosure. 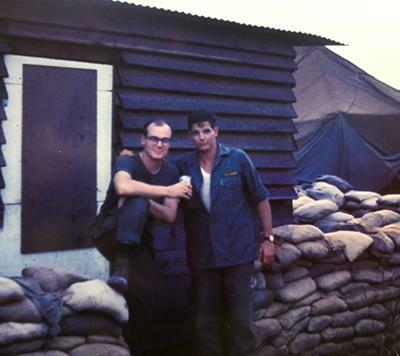 Each provided shelter for this then 21-year-old soldier during his tour of Vietnam. The sandbags provided protection from rocket mortar shells. 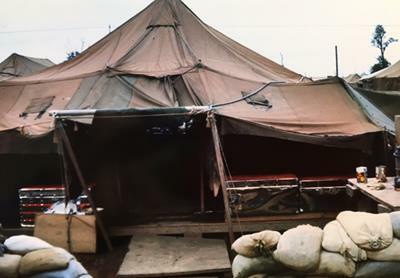 Interestingly, as a soldier’s time moved closer to his (they were mostly his then) return to America, he was allowed to sleep closer to the sandbags as they provided protection from shelling. Is there a better definition of caring? On his return, Pat settled into an apartment building while he finished his college degree. Using the G.I. Bill, he purchased a 2-bedroom, 900-square-foot starter home for his family. That was followed by a 4-bedroom, 2000-square-foot home, their home today. His housing became a forced savings account and now, in semi retirement, he has a home he can call his own. It’s made of brick and wood siding, a great improvement from his 1968 crib. Oh, and he has no need for sandbags. He’s home. Recall I don’t like pandering. I’m not a Vet. My brother is. He enlisted. I was in the draft but not called up. I opposed the war, and had I been drafted, would have gone in as a medic. Because I opposed the war doesn’t mean I opposed those who fought. Those who serve make the great sacrifice of not only serving our country but also following orders – orders they may or may not always agree with. I never forward messages from Facebook about supporting troops. I don’t have an American flag on my car or any decals that say how much I support our troops. Troops don’t need to see or hear that from me. I can’t begin to know what veterans go through. What our veterans need is support for education, jobs, and medical issues. That support costs money. I donate money to local Veteran institutions that Pat tells me are good. He knows. I don’t. He’s a Veteran. So on this Memorial Day take a moment and think about the rotten housing our troops have occupied at Concord, the Civil War, WWI and WWII, Korean War, Vietnam, and the Middle East conflicts of the present and the sacrifices they have made for us. Pause and remember the men and women who serve. It’s Memorial Day. Keep the decals, forward the FB posts and wear the American flag pin but if you don’t commit money to help veterans – by taxes or donation – the talk is cheap when we all should be buying a drink. You may want to give Dryhootch your consideration. The link below tells the tale.